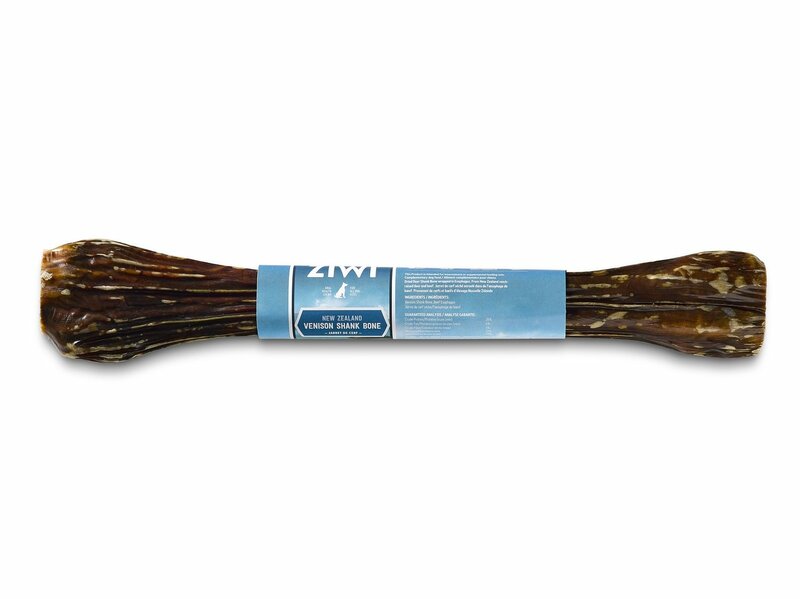 Ziwi's Deer Shank Bones Dog Bones are sourced from New Zealand deer raised on grass-fed farms. We have taken the shank bone, which is full of nutrients and marrow, and wrapped a beef esophagus over the top. The bone is then naturally dried to retain its goodness in a shelf-stable form. They’re great for oral health, long-lasting and dogs go crazy for them.